Madius Tangau receiving membership application forms by former Sabah BN component party members in the Kota Marudu area. KOTA MARUDU: More than 3,000 people from various opposition parties in this northern district have signed to become new members of Upko. Newly elected Upko Kota Marudu Divisional Chairman, Verdon Bahanda who joined the party two months ago, jointly handed over their application forms to acting President Datuk Seri Panglima Wilfred Madius Tangau. Former Kota Marudu Upko Chairman, Padis Majingkin who was elected the Division’s Deputy Chairman was on hand to witness the handing over of the application forms. Altogether there were 3,409 new members who joined Upko Wednesday at the close of the division’s Triennial General Meeting held at the Kota Marudu Community Hall. Most of these new UPKO members were formerly with PBS and PBRS of whom 2,500 are from Matunggong alone and 366 applicants were brought in by newly elected Kota Marudu UPKO Youth leader Jamil Majingkin. Warisan Chairman for Kota Marudu Baintin Adun, left, greets Verdon Bahanda in the presence of Madius. Also present were UPKO Wanita Chief Dr Jaina Sintian, Divisional chiefs Felix Joseph Saang (Beluran), Basari Sarkun (Silam), Datuk Pangiran Lalung (Sipitang) and Dennison R. Indang (Kota Kinabalu). Meanwhile, in the same group, Datuk Abdul Latif Kandok, who is the former District Officer for Kinabatangan and currently the Adviser of Kimaragang Malaysia Organisation, lead 200 ex-UMNO members to submit their membership application forms. Also in the same group, Native Chief Majial Mangulizang handed 100 membership application forms from ex-UMNO members from Kg. Inukiran Matunggong, and another 100 applications forms from former UMNO members from Kg, Rondowon also in Matunggong. From Tandek, former PBRS Divisional Chief Jenron Jaikan also handed in 100 application forms from former PBRS members. Verdon, while delivering his speech also expressed their full support for Madius Tangau as the President of UPKO without contest. He also voiced out their support for Datuk Donald Peter Mojuntin as the in-coming deputy President of UPKO. 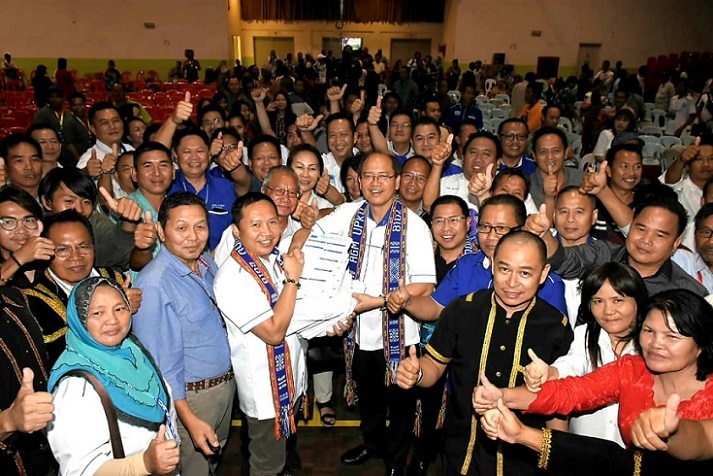 In his speech, Madius urged the new leadership of UPKO Kota Marudu to continue with the tradition of UPKO in its quest to uplift the socio-economic well-being of the Kadazandusun, Murut and Rungus (KDMR) community. 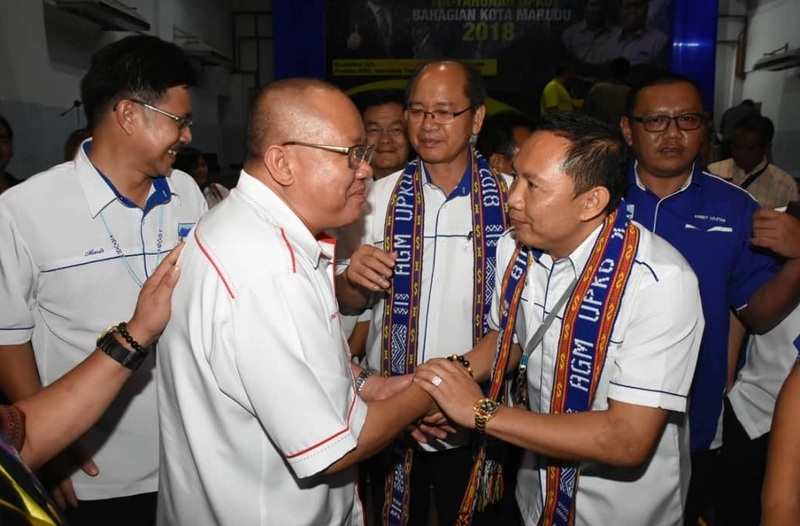 “I congratulate those who have been elected to helm UPKO Kota Marudu for the next 3 years and called upon every one to close ranks and work together to ensure unity prevails in the party and to ensure its struggle and objective will be achieve,” Madius added.